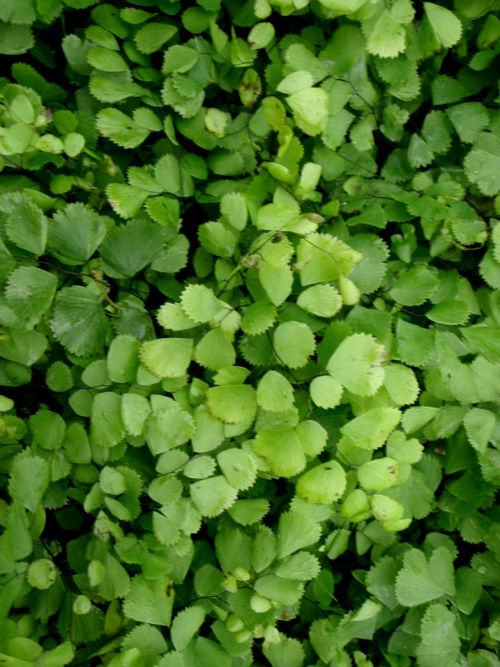 This is a gorgeous hardy maidenhair fern, originating from the border region of India and Afghanistan. It slowly creeps to produce a stunning yet delicate looking groundcover in light shade. It likes moist, humus rich soil with good drainage. It is evergreen and produces a new flush of soft-pink fronds in the spring.